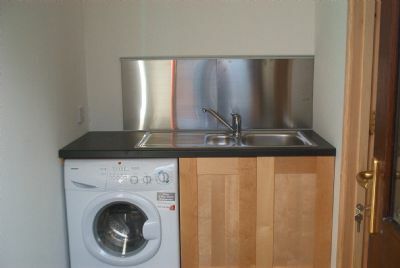 The utility room sink and cupboard doors are fitted and the washer/dryer is installed. John Bishop returns and makes himself useful filling all the nail holes in the skirtings and window cills. 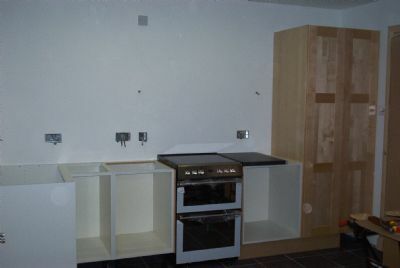 The first kitchen cabinet is assembled. 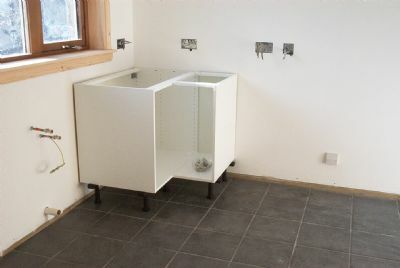 By the end of the day we have a full wall of base units as well as the large cupboard doors and the cooker in place. 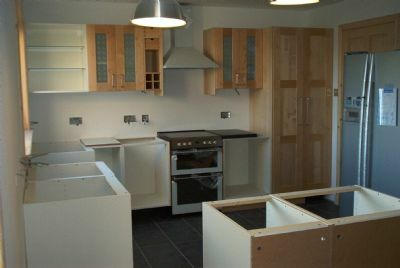 Wall cabinets fitted, more base units assembled and cooker hood installed. Also the fridge/freezer is unpacked and placed in position. 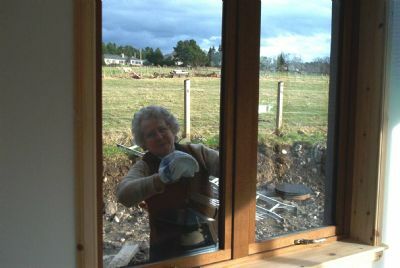 Olive lends a hand by cleaning the windows in the lounge, kitchen and dining room. 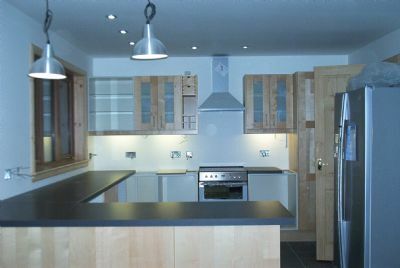 More progress in the kitchen, all the units are installed; we have some drawers in place and we now also have lights under the wall cabinets working. 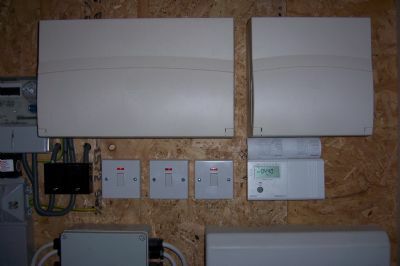 We finally get the under floor heating connected to a time clock to make the most of the Economy 10 tarriff from Scottish & Southern Energy.